Does the thought of dental care make you a little (or a lot) nervous? If so, you are not alone. But visiting the dentist does not have to be a stressful or unpleasant experience. 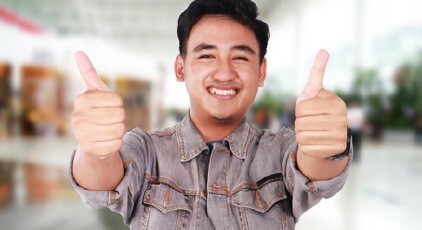 In fact, with help from sedation dentistry, it can be a downright rejuvenating time -- because, once the appointment is over, you leave the office with a clean and healthy smile! 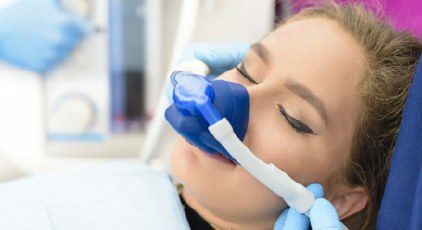 Dr. Veronica S. Walker knows a trip to the dentist isn’t anyone’s favorite thing, and she is happy to be able to offer nitrous oxide sedation to help. Keep reading to learn more about how it works, and whether or not it’s right for you. If you would like to be more relaxed at the dentist’s office, the answer just may be a resounding yes! Sedation dentistry is the use of medications to help put your mind at ease while you are at the dentist’s office. Local anesthesia numbs the treatment area, but sedation dentistry is available to help the rest of you relax as well. Generally healthy patients of all ages can benefit from this practice -- from young children to great grandma and grandpa. A sedation dentist is a person who has received special training in the administration of these medications. They are well-equipped with the technology and know how to help patients relax throughout any procedure. Nitrous oxide -- AKA laughing gas -- is our preferred method of sedation. It has a mild effect and, when combined with local anesthesia, it helps to put patients completely at ease throughout any procedure. You will breathe the gas in through a small mask you wear over your nose. Its effects take over quickly, helping you feel light, tingly, and maybe even enjoying your time at the dentist’s. Dr. Walker will only begin once she is sure that you are completely comfortable and ready to start. Once the treatment is complete and the mask has been removed, the effects of nitrous oxide wear off quickly. You can go about your day as normal, without any groggy disruptions. Is Sedation Dentistry an Option for You? Nitrous oxide is a safe way for just about anyone to have a more pleasant experience at the dentist. If, like most people, you believe you could benefit from being a little more relaxed in the dental chair, sedation dentistry may be a great option for you. You do not have to do anything special to prepare for this type of sedation -- simply show up and get ready to ease your way back to great oral health. Time to Relax at the Dentist! If you are interested in learning more about sedation dentistry or how nitrous oxide can help you overcome your dental fear or anxiety, you are invited to contact our office! We can’t wait to help you enjoy visiting the dentist once again. Go ahead and contact us today!